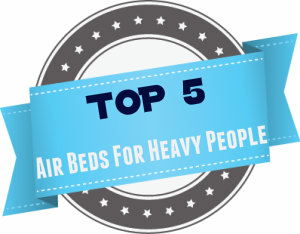 After scouring through hundred’s of king size beds we have found a handful of what we think are the best king beds for heavy people with high weight capacities. These oversized beds are a good choice for the overweight couple or even just the obese singular person. By looking through descriptions and reading many of consumer reviews, we have tried to bring you some king size beds with a minimum of 500 lbs weight capacity. By doing this, we hope we have saved you the tireless effort and hours upon hours of research. 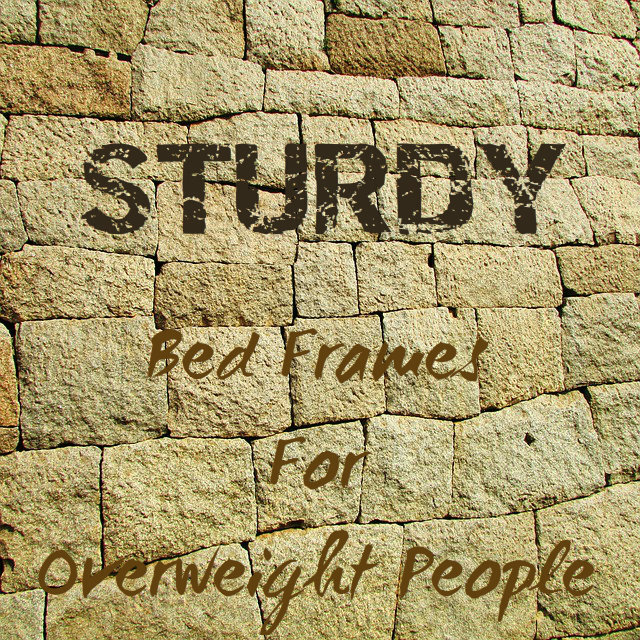 As my family are fairly large people, we understand the importance of a heavy duty and sturdy bed frame. Besides the obvious (breaking the bed by having excess weight forced upon it), we also have tried to eliminate king size beds which are low to the ground. This is because I find lower sitting beds extremely difficult to get into and pull yourself out of with all the extra baggage we carry on a day to day basis. 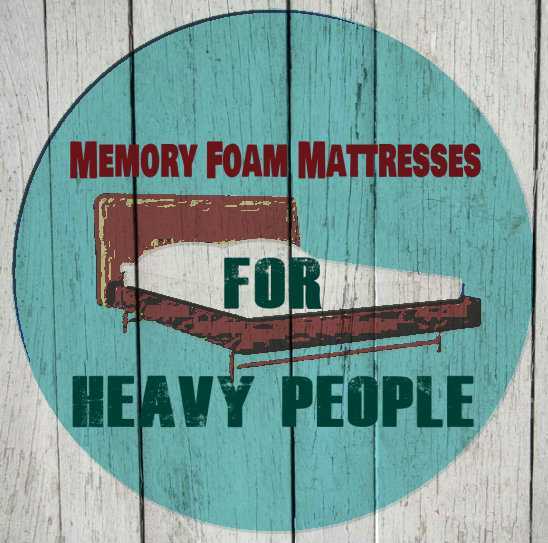 For the bed to be able to handle heavier weights we also expect a relatively squeak free bed. There’s nothing worse then a noisy bed (especially if you’re trying to get romantic, talk about a mood killer). The below king sized beds for plus size people are beds that don’t particularly need a box spring as well, so one could just add is a mattress designed for large people. Then you are potentially in for a good nights sleep. However if you already have a king size bed frame and need a heavy duty support system. Then you could consider the Sleep Master Metal Bed Frame. Which may even slip into your existing bed frame and it can support up to 2400 pounds. This 1200 pound weight capacity king bed is particularly good in my opinion. Firstly is it’s price point. For a bed to hold a weight limit high enough to possibly handle 2 rather overweight people and maybe even a Dog, I would expect to pay more. I find this bed good value. The frame itself is constructed with solid pre installed metal brackets with a strong support brace in the middle also made from metal. All up there is 6 support posts holding the bed up. Its assuring knowing that the base of the bed is heavy duty and could be able to hold our high weights. Plus these strong reinforced parts are easy to put together, give yourself enough time for assembly though. American based Classic Brands have been in the sleep industry since 1971 and are based in Maryland. The Europa Deluxe is just one example of the quality beds Classic Brands provide at what I consider very reasonable prices. The price may even shock you, like it did for me. Again a heavy duty frame and base system that’s capable of handling high weights. The 2 inch wide wooden slats and stainless steel legs provide even more strength and stability to the overall beds performance. Box Spring, what box spring? A nice country cottage feel king bed I’d recommend for the larger couple. Simple yet elegant in design this bed has the potential to be much loved by its owners. Capable of withstanding 600 pounds with 4 reinforced timber slats for stability and durability. The eye appealing dark timber effect and head/foot rest are the winners for me. It looks like an expensive and complete bed, but to me I consider is very reasonable. 600 Lbs Capacity according to specs. 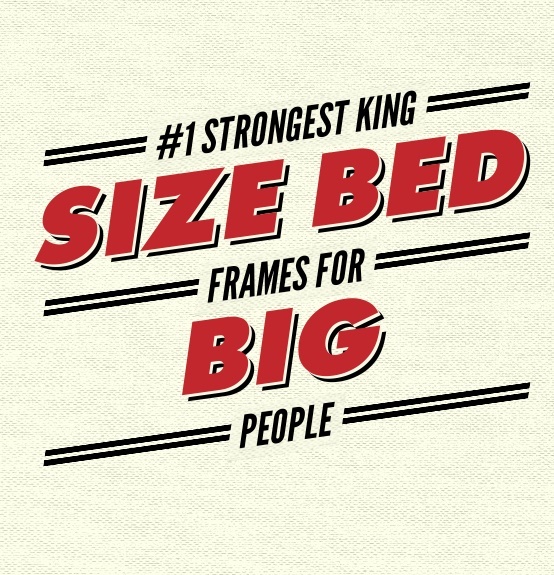 Goliath Mattress has a great bed for large people. Hi Jason, is this the Goliath Mattress on amazon that you are referring too?.